We sanitize with Ozone every point of the vehicle after each rental. Do not use chemicals. 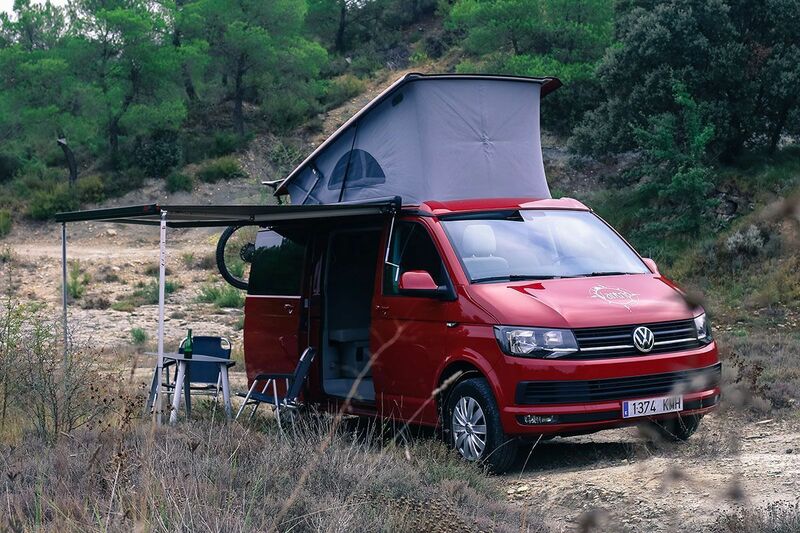 The queen of the campers with 150 horses, automatic, the Volkswagen California T6 will give you an unparalleled experience, with a consumption of 7.5 l per 100 km. You can enjoy a completely new van (2018). 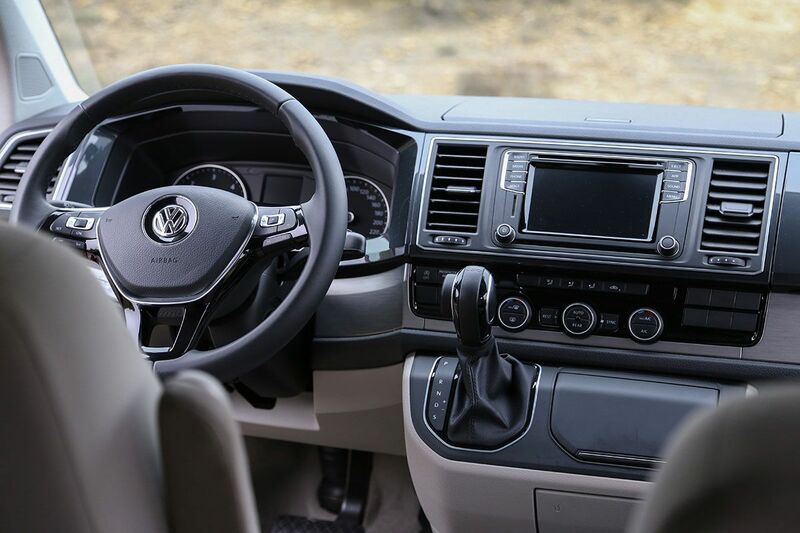 Rent a Volkswagen California T6 you can enjoy absolute freedom without having to depend on campsites or hotels. Its versatile size is like driving a car and entering all the car parks (2 meters). Do you fancy mountain? Do you fancy beach? Or maybe both? Where and how you want. Live an XL experience with our Sun Living 60, is the closest thing to rent a suite in the world camper: You have a shower with hot water, a closed toilet, different types of lights so you can create the environment you want at the time you want. With its 6 meters long and 2.6 high you can move inside it as if you were at home. Drive and feel its power of 130 horses with manual transmission and 6 speeds. It has the advantages of a motorhome in a camper van. All of our Sun Living campervans are new for this year 2019. Live an XL +4 experience with our Sun Light 601, it is the closest thing to rent a presidential suite in the world camper: You have a shower with hot water, a closed toilet, different types of lights so you can create the atmosphere you want at the moment what you wish. With two beds of 140×190, 5.95 meters long and 2.6 high you can move inside it as if you were at home. You will have all the comforts of a motorhome in a camper van. All our Sun Light 601 camper are new this year 2019. Live an experience with one of our new custom-made Ford Customs with all the comforts to travel freely without depending on hotels, campsites, etc. With a very spacious interior to be able to make life in it. It has 2 beds of 120×190, sink, refrigerator, stove, outdoor shower, rotating seats, awning. Equipped with a 130 horsepower engine with 6-speed manual transmission. You drive like a tourist, enter all the parking lots. All of our Ford Customs are new for this year 2019. It will not be available until April 2019 but you can go ahead and book in advance to secure your place. It is one of the few campervans where you can sleep and move up to 5 people. Equipped with fridge, sink, awning, etc motor 150cv automatic DSG and a consumption of 8 liters per 100 kilometers. This roof tent can be mounted on top of your car and rolled! For a much more affordable price, convert your regular vehicle into a campervan. It has a very comfortable 140×190 mattress where up to 3 people can sleep. You just have to make sure that your vehicle has a minimum of two transverse rack bars of a maximum of 8 cm in thickness. 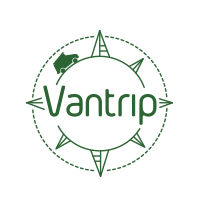 Vantrip we are young and professional team, passionate about the motor world and in love with the camper vans.